This month we’re kicking off a new series called the Travel Massive Top 10 to highlight members in our community who are leading the way in their fields of tourism and travel. Our first Top 10 takes a look at Instagrammers in the Travel Massive community. 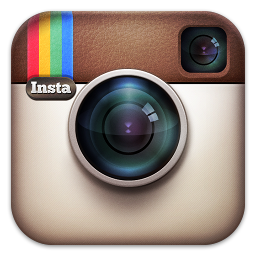 Instagram continues to be an influential tool in the tourism industry for both brands and content creators. This week, we’re taking a look at Snapchat and other digital news. While the social platform has gained millions of loyal users in the U.S., it remains a largely uncharted territory for most travel marketers. Hilton Hotels is one travel brand that’s decided to enter the mix, debuting a new branded profile on the service to showcase behind-the-scenes content from a recently branded concert series. Will the effort help the brand shed its buttoned-up image as it pivots to appeal to more young travelers? Social media has become a primary marketing tool for all sorts of travel businesses. When it comes to carriers, you only have to take a quick look at a Facebook page or Twitter feed to realize that some are much savvier than others when it comes to social media. A sleek-looking Facebook page might make an airline seem cooler and perhaps, even more, user friendly, but does that translate into engagement, brand loyalty and (ultimately) sales? but conditions have worsened for some key aspects of travel for Muslims during the past year. According to MasterCard and CrescentRating‘s 2016 Global Muslim Travel Index, the safety of traveling Muslims is less secure this year than it was a year ago. Index values for “general safety of Muslim travelers” decreased by more than five index points for both Organization of Islamic Cooperation (OIC) countries, or those with predominantly Muslim populations, and non-OIC countries. Both companies recently examined 130 countries for the index to access how destinations are catering to the Muslim travel market and assigned an index value of 0 to 100 to 11 categories part of the analysis. Is a Virgin American Merger On The Way? Yesterday, Bloomberg reported that Virgin America was reaching out to potential buyers to sell part or all of itself. Investors responded positively to the news, as the stock price went up 14 percent during trading on Wednesday. The move shows that, although there won’t be any major mergers amongst legacy carriers for the time being, the era of consolidation might not be over just yet.